Why is comprehensive trademark search important? So you've done your initial Google search, and it looks like your competition is not promoting their products and services with a brand similar to yours. You may even have done your own "trademark search" using one of many free online trademark search engines out there—and didn't find anything suspicious. Your brand is good to go, right? But how do you know if you're searching for the RIGHT things and how do you know if you're interpreting the results CORRECTLY? If you think it's common sense, please indulge me and run a search for "Micro-Soft Software Solutions" in your favorite trademark database. Guess how long it will be until you hear back from Microsoft's attorneys if you relied on these results? Good luck going through them all! 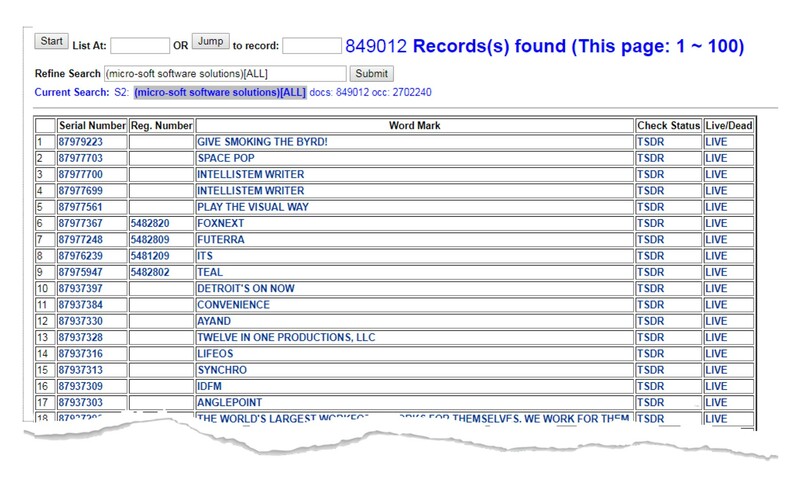 We all know you couldn't trademark Micro-Soft Software Solutions. But how are you actually going to know for sure if your ACTUAL BRAND is unique enough to be worth building and developing? Seriously… Are you just going to take a guess? The added problem with trademarking is that you won't receive the first response from the Trademarks Office right away. The trademarking process takes many months. And time is a resource no entrepreneur can afford to waste. Also, what if your guess is wrong and you end up with a brand you can't own? What if you get sued for trademark infringement? What are you going to say? I did my search and found nothing? Courts don't buy these excuses. So yes, you need a specialist to do the search for you and summarize their opinion in an easy-to-understand report. 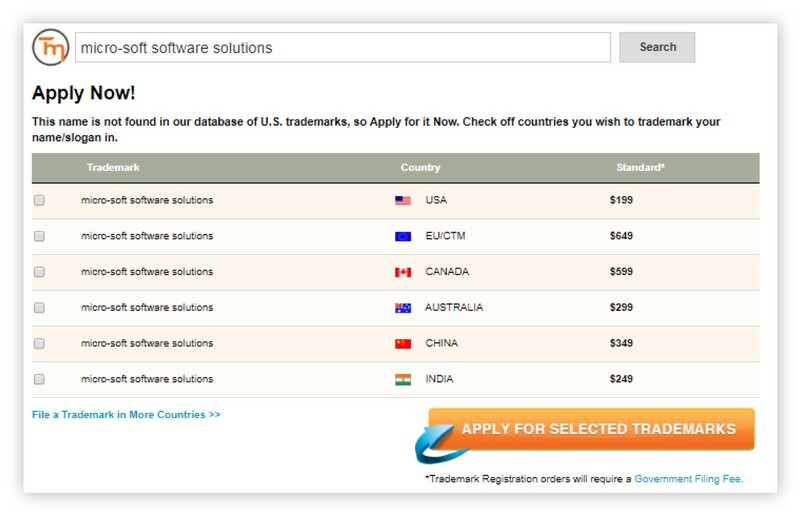 Most firms charge about $300 per trademark to conduct a search with registrability opinion. With Trademark Factory®, a comprehensive trademark search is included in all of our packages. We will have the answer whether your brand is trademarkable in 2 business days. If everything is good to go, we'll just start working on your trademark application(s), ASAP. If we spot a problem, we will share our findings with you, and you get to choose how to move forward. Get a full refund. Essentially, it means you get to find out for free why your brand is not trademarkable. Keep brainstorming until you pick a brand you can trademark. Additional registrability checks are free. Have us file it anyway without our usual 100% money-back guarantee. Would you like go get the process started? Book a call with our specialists or purchase our services online.